If there is one movie that is terribly, tragically underrated and unknown, it is A Month in the Country. It's ironic because J.L. Carr's novel of the same name , on which the 1980s movie is based, is also terribly, tragically unknown. It just missed a Booker back in 1980, and instead won the Guardian Fiction Prize - a lesser trophy and, it seems, a punishment to anonymity. 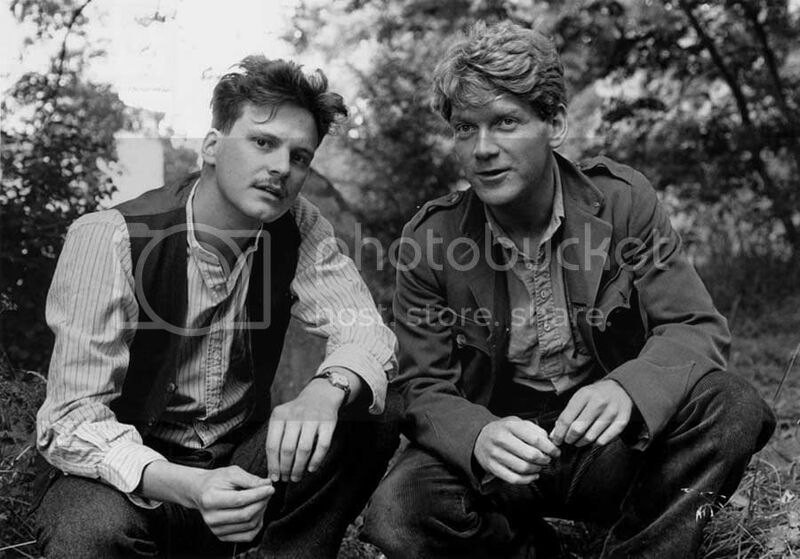 The movie, in the meantime, stars everyone's favorite English actors, Colin Firth and Kenneth Branagh, as young World War I veterans struggling to cope with their traumatic experiences in the first, Elysian summer after peace is declared. It's great. Really beautiful. And there's no DVD for it!?!! 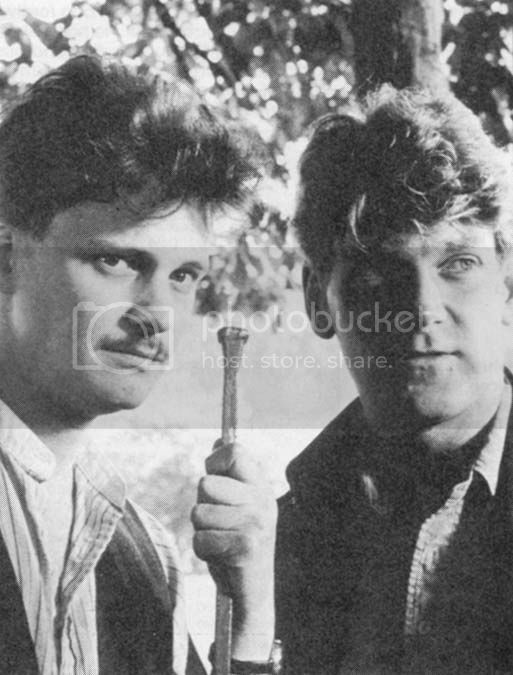 Colin Firth as Tom Birkin and Kenneth Branagh as Moon, both so young! It's terrible, tragic and ironic, but it also makes sense - in a weird, double-agent-ironic way - that this small, understated story of remembering and loss should be on the verge of falling into the vacuum. The story is, after all, an extended meditation on nostalgia, grieving and renewal. It's about preserving yourself against the abyss; carving a space of light in a world where all seems dark. When Tom Birkin (Colin Firth) arrives in the tiny Yorkshire hamlet of Oxgodsby, he suffers from a stammer, a facial tic and terrible nightmares. He's also freshly divorced and still pining for his ex-wife, Vinnie (never shown on screen). He arrives in Oxgodsby in rainy twilight and makes his way to a gloomy church. His job for the coming summer months is to restore a decrepit, hidden 14th-century fresco from the church's ancient walls. The pace is slow, matching the drift of motes in sunlight. 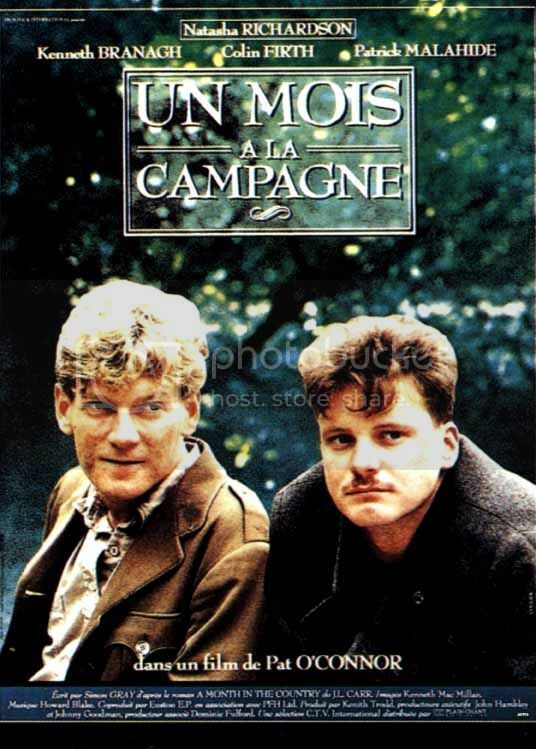 Birkin meets another young vet, Moon (Kenneth Branagh), who has been paid to dig up the lost grave of a rich townie's ancestor. Moon is, like Birkin, still damaged from the war, though the quality of his suffering becomes an unexpected parallel with the mysterious artist's life. Birkin, when not drinking tea with Moon or brushing turpentine onto plaster, falls into quiet, intense love with the vicar's wife, Alice Keach (Natasha Richardson). 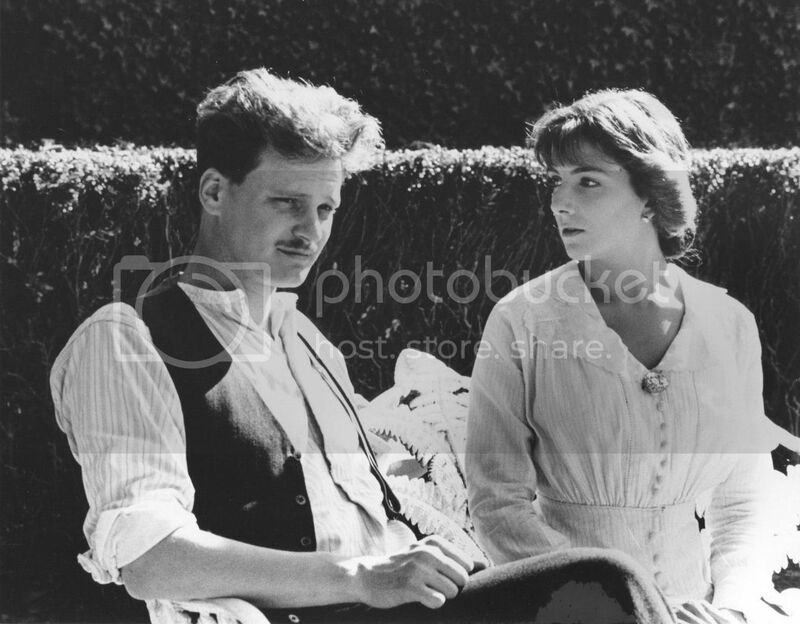 Love with the vicar's wife (Natasha Richardson)! The bit when she explains her apple savantness is so good. Colin Firth recently waxed nostalgic about director Pat O'Connor's confidence in making this film: the story was allowed to breathe, actors were allowed to be silent. Indeed, the whole point of the film is the profound, emotional intensity that underscores this pleasant facade, and the uselessness of words. The trauma of World War I still lingers like a ghost in the landscape: and O'Connor does a brilliant job of never gazing directly at the war, but rather coming at it sideways. The most explicit war scene we see is the opening shot of Birkin struggling through the mud and barbed wire: the camera is zoomed tightly on him, we have little sense of context, and there's a sense of claustrophobia and horror. The haunting church hymns underscore the usual aphorism: war is hell (in the religious and literal senses). Similarly, Birkin and Moon's PTSD is a smothered suffering that we see only through the cracks of Birkin's twitch or Moon's nighttime howling. But this story isn't about dwelling in the horribleness of World War I - rather, it's a realist, poignant look at slow healing. Oxgodsby's warm fuzziness is the perfect restorative for the broken vets, even if that healing is fragile and tentative. And the narrative is a looking back, so nostalgia is thick. The greatness of this story is the way it captures ephemeral beauty, a feeling that is vibrant and impermanent. Quite spiritual. And, like all art that does what it's supposed to, it captures and transmits an emotional quality. We should probably mention that this film is, actually, in color. The film is also a marvelous companion to the book - they both really enrich each other. And experiencing either is like breathing in purified rural gold. People, get thee to this film - or rather, get thee to preserving this rich work! We can't let gems like these disappear. Ahh, Angleterre. Where's good ol' William Blake when ya need him? Ah, but where, WHERE, may I find a copy of this wonderful film which I have not seen, based on the book which I ADORE? And WHERE can I get a copy in SOUTH ASIA?? Of course I read the book--you were the one who recommended it to me, all these many years ago! Noooo... You must use your international cinema clout to get it released to disc! In other news, I may have dengue. Sigh.